In my opinion, certain things that happen in our lives are govern by fate. Case in point, 2 years ago, we cruised to Alaska (for the second time... 2 times too many according to Viv...) aboard the Oosterdam (I think we brought the average age down despite not being incredibly young). Being suckers for trivia challenges, we headed up to the lounge to join in on the action. We ended up teaming up with Scout and Lola, who we continue to keep in touch to this day. So the night before our flight out of SeaTac, we met up with Lola at Buddha Ruksa to catch up. 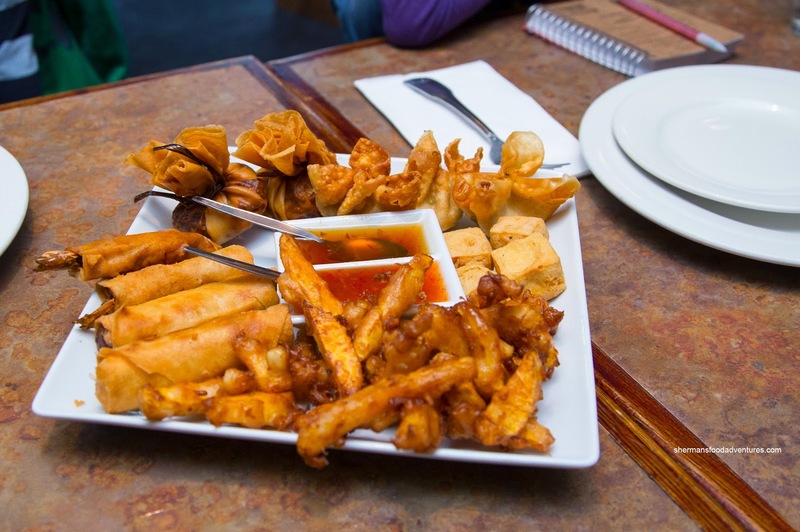 We began the meal with the Sample Platter consisting of Spring Rolls, Crab Wonton, Prawns in a Blanket, Bags of Gold, Fried Squash and fried tofu. Plum sauce and sweet garlic-chili sauce were served on the side. Although the entire dish was in different shades of golden brown, nothing was particularly greasy. Everything was crispy and fried just right. Of note, the prawns were very peppery and slightly rubbery. The squash was very good though being soft with a nice crunch. With moist pork, the bags of gold were good as well. 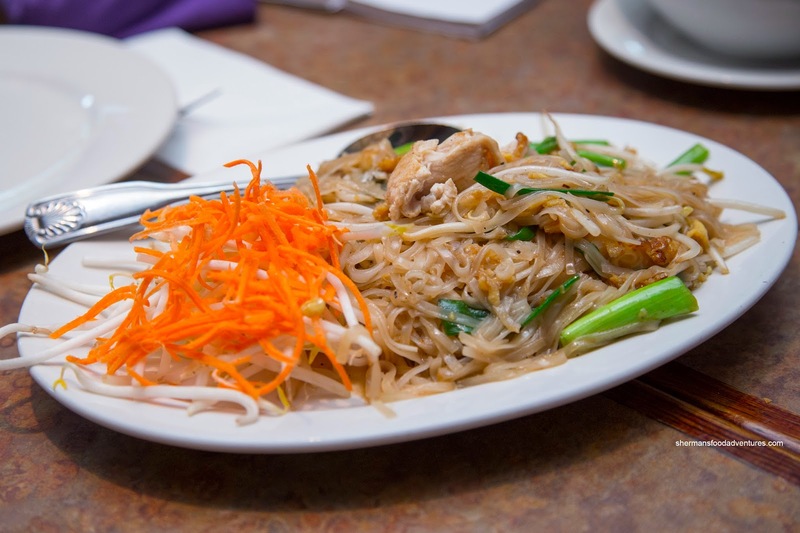 Next up, we had the Pad Thai with chicken. This was pretty legit with the tang of tamarind where no ketchup was used. The texture of the noodles was on point too being soft and chewy. 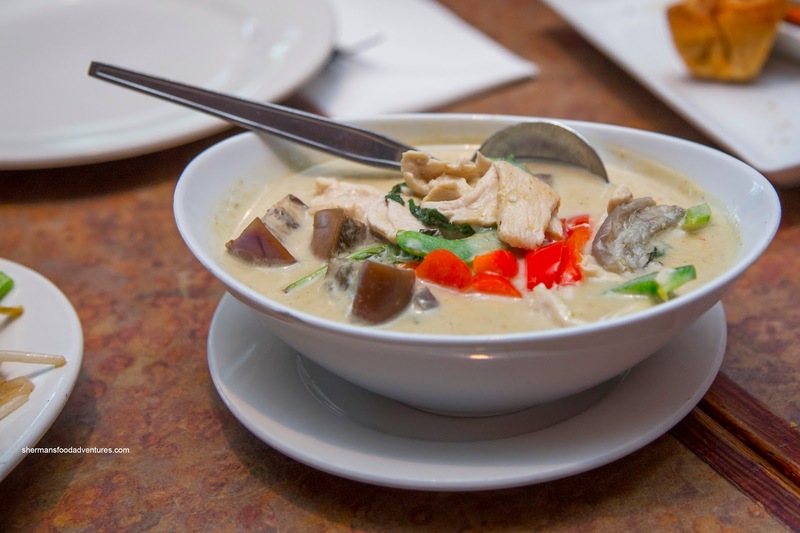 Served in a pretty large bowl, the Chicken Green Curry was appetizingly spicy for our requested medium. Despite the spice level, we could still make out the aromatics of the thick coconut milk as well as the fish sauce. The eggplant was intact while the peppers were crunchy. The ample amount of white chicken meat was a touch dry, but not terribly so. There was more than enough sauce for many plates of rice. We also got the Pork Basil Stir Fry which featured a pretty sweet sauce (due to lots of palm sugar). There was the hit of basil and onion that flavored the ample amount of pork. It was a bit chewy and dry though. The accompanying veggies were still vibrant and not overdone. 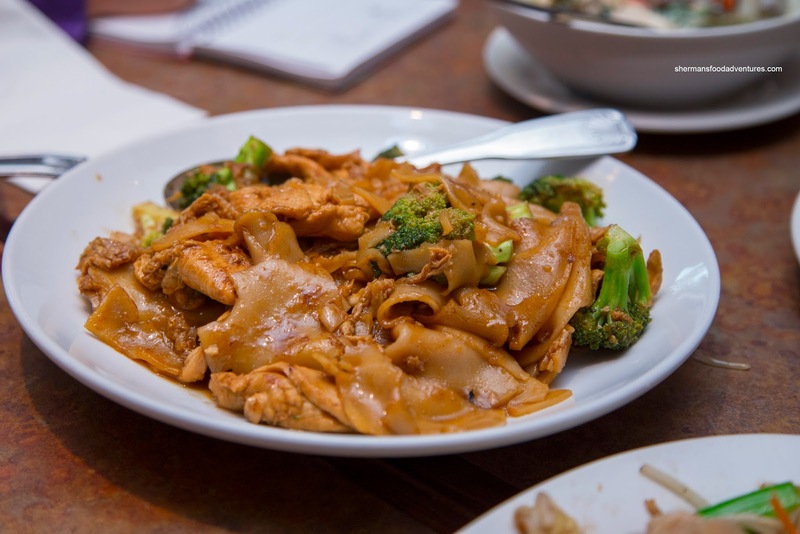 For the kiddies, they had the Pad See Ew which featured large sheets of rice noodle. It was on the softer side, but the crunchy broccoli helped balance the textures. In terms of seasoning, it was not lacking as there was savory and sweet elements.This dish could've benefited from a bit more wok heat though as it was wet with very little caramelization. 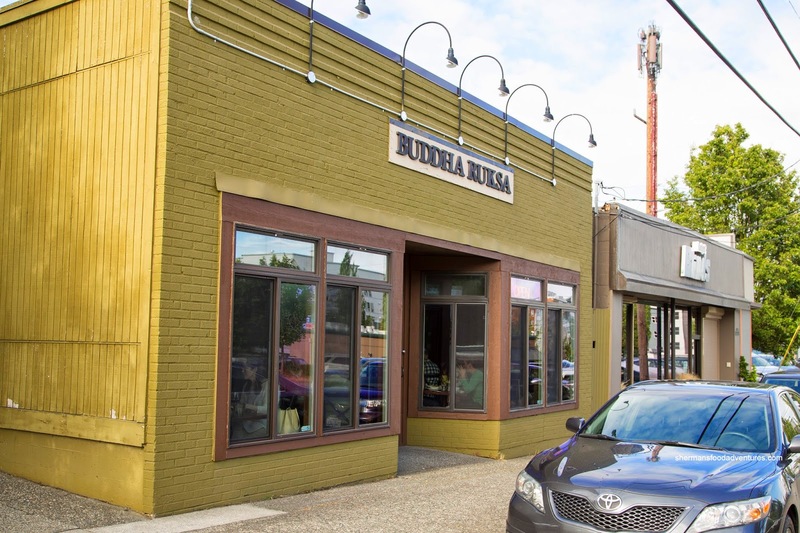 However, as a whole, the meal was not bad at Buddha Ruska. Flavours were impactful while the portions were generous. Best of all, the prices were easy on the wallet too. 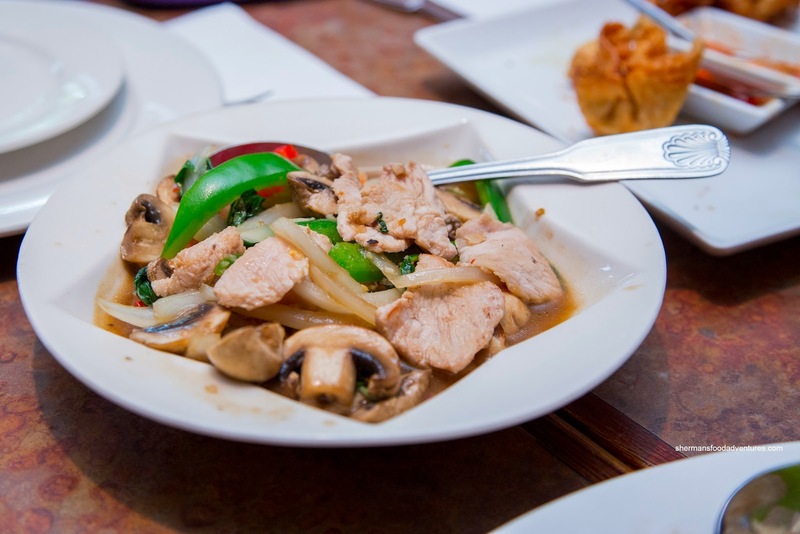 I was in Seattle at the end of August and my friends and I stumbled upon Citrus Thai. It was pretty legit too and HUUUUGE portions!